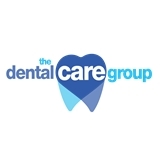 The Dental Care Group (Aventura) - Book Appointment Online! Since 1972, The Dental Care Group has provided the Aventura and Pembroke Pines communities with state-of-the-art dental care in a friendly, professional environment. Your oral health is our top priority, and our team of doctors and staff are here to ensure your dental experience is the best it can be. Our comprehensive suite of dental services provides everything you need to optimize your oral health and give you a beautiful smile. You can take advantage of: • General preventive dental care • Full mouth restoration (dentures, crowns, bridges, implants) • Orthodontic treatment with Invisalign® • Cosmetic dentistry including Zoom® whitening and Lumineers® veneers • Endodontic (root canal) treatment • Oral DNA testing • Store-A-Tooth (dental stem cell preservation) The Dental Care Group..Creating Smiles that Last a Lifetime! ALL new patients are seen by Dr. Coussa during the 1st visit. The bes experience every !!! !